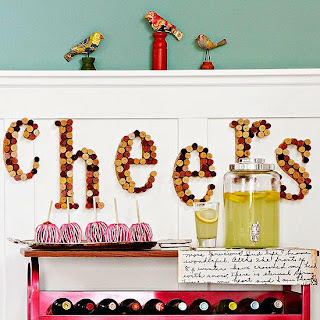 Use wooden letters and wine corks to create fun typographic wall art arrangements in your kitchen. Here, we spelled out the word "Cheers" and hung it on the wall above a colorful drink cart. Stand-alone pieces of furniture are a great way to add additional storage to your kitchen. 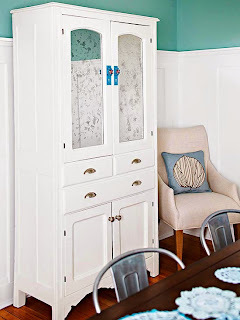 A fresh coat of paint and snazzy new hardware breathe new life into this old china cabinet. 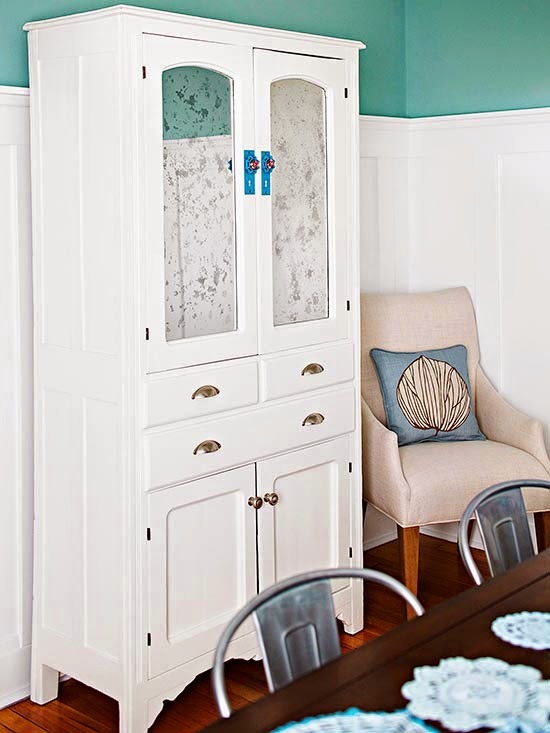 The blotched surface of the mirrored glass -- created using a mixture of 1:1 water and vinegar -- hints at the piece's age. 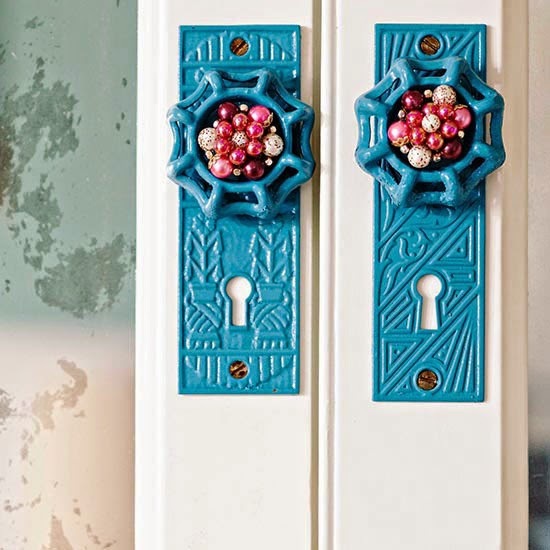 For a truly unique look, the handles on kitchen cabinets can be made using doorknob backplates and water spigot handles. Vintage clip-on earrings were detached from the clip and secured with metal glue to top off the look. Coordinate mismatched secondhand chairs with paint and fabric. Sand, prime, and paint the chairs, then add a number to the chair back using a stencil and contrasting paint. 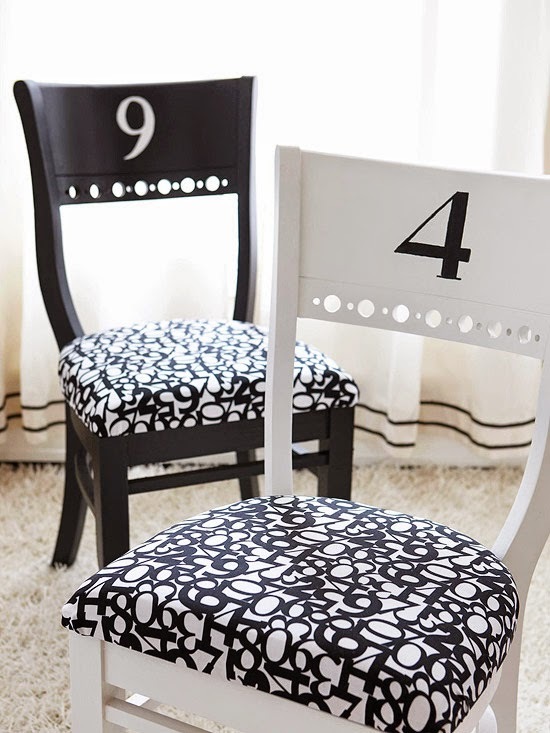 Finish the transformation by covering the seat in a printed fabric -- here, we used a numbered fabric to continue the theme. 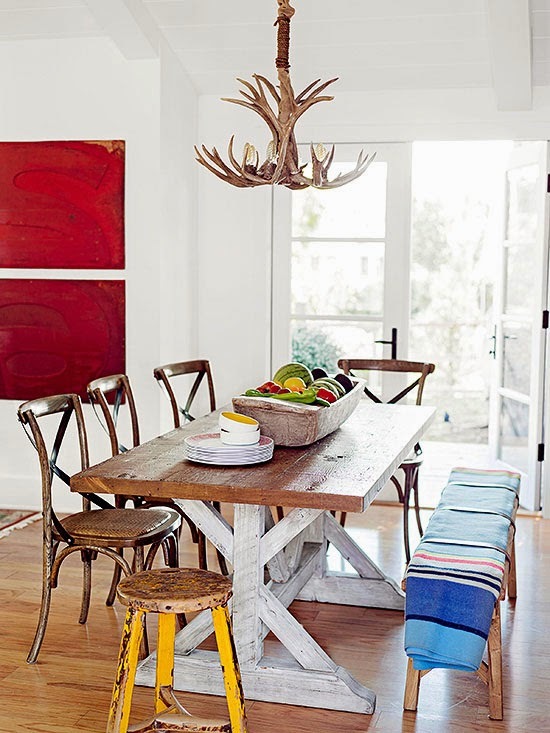 Fold a colorful blanket and use it as a bench seat cushion. Use belts to hold the blanket in place. 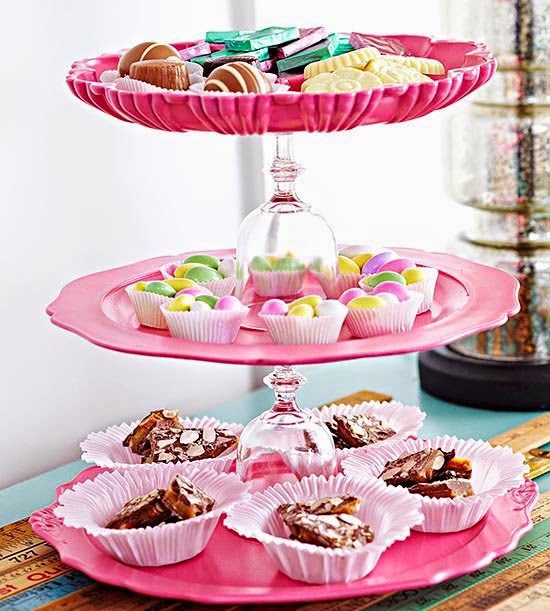 Combine interesting plates and glassware from a secondhand store or flea market to form a tiered serving platter. Prime, paint, and seal the plates with polyurethane. When dry, use glass adhesive to secure the bottom of a glass goblet to the underside of a dish. Repeat with a second goblet and dish. When dry, stack the pieces on a third plate. 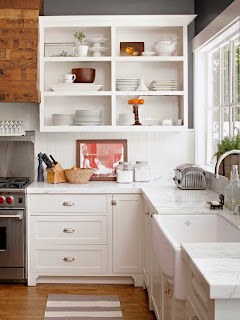 Since the paint isn't food-safe, use paper between food and dish surfaces. 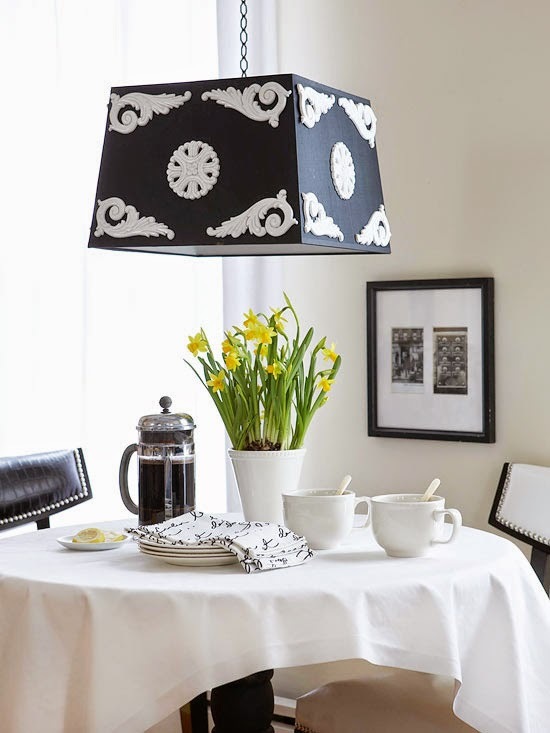 A simple cheap lampshade gets big style with spray painted wooden appliques from the crafts store. 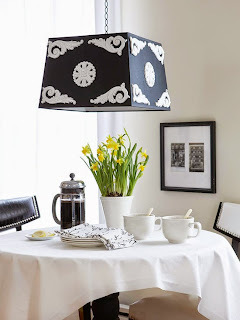 Attach the appliques with hot glue and hang the shade with a pendant light kit for a quick and easy way to add flair to the eating area in your kitchen.